The vibrant Takaful industry has continued to display strong growth in recent years with many of the key markets still exhibiting double digit growth often with Takaful outstripping the growth of conventional insurance. This increase though is coming under pressure due to the fallout from the poor performing financial markets and the changing political landscape of the Middle East region. Despite these challenges there still remains fantastic opportunities for increasing market penetration in the core markets of Malaysia and the Middle East as well as harvesting the undoubted potential in South East Asia, Africa and some non Muslim countries with significant Muslim populations. ITS 'New Frontiers' will investigate the obstacles faced by the industry and seek to provide constructive solutions to nurture the continued development of the global industry. The International Takaful Awards still remains the only industry recognition of excellence dedicated to the Takaful Industry. Now in its 6th year the ITA's will focus on rewarding those Takaful companies that have demonstrated superior quality and have distinguished themselves from their peers. 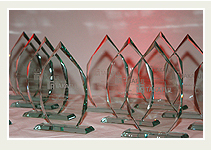 This year we have broken the awards by country so that each category can be judged more equitably. Fantastic event. One of the speakers mentioned that it was a must attend and I find myself in complete agreement. This conference has gone from one of the event on the Takaful calendar to a ‘must go’. The year on year improvement is phenomenal as is the increasing geographical spread of attendees and subjects addressed. Top class! Just a short note to thank Iqbal & Randa for the excellent summit this week which I very much enjoyed. The hard work that you and your team put into the organisation was evident, the event enjoyable and the content excellent. I appreciate your kind invitation each year, and this consistently remains amongst the best Takaful Events that I have had the opportunity to attend. Please pass on my congratulations to your team. Wish to congratulate Iqbal, Mohaned, Randa and the team on organizing an excellent event. Masha’ Allah this International Takaful Summit has attracted several high powered industry leaders and has become one of the most sought after events. 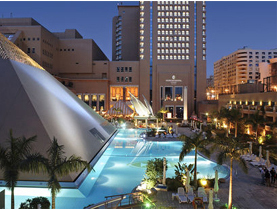 The International Takaful Summit is by far one of the best industry events that has become a must-do event every year. It contains the proper blend of high- quality content, timely information, and thought provoking & engaging discussions between informative speakers and probing audience. In addition, the networking opportunities facilitated are the perfect forum to interact with industry peers. 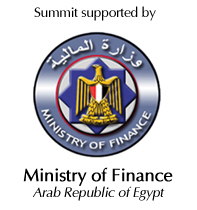 Kudos to Iqbal Asaria, Mohaned Abdullah, Randa Buaras and the entire team for successfully organizing a great summit and I look forward to attending it again in 2013. Another outstanding Summit. The Takaful Summit is always an excellent opportunity to appreciate the value of the work we all do each day. A beautifully organized event that provides a once-a-year concentrated dose from Takaful key players looking to share ideas with others who want to keep abreast with trends in Takaful business. I am sure those who attended benefited extensively and had much more understanding of Takaful felt fully energized and ready to tackle any hurdles or challenges to set up Takaful business. I would like to thank the many people who have helped organise the Takaful Summit, and I would especially like to thank Iqbal, Mohaned, and Randa for their mega efforts in making it the best Takaful event every year. The team from CIMB Principal Islamic came out from the Takaful International Summit and the Award Dinner fully satisfied and most happy with the deliverables and the outcome. We are as happy as a “happy child” who got his toys and sweets...! Such happy feelings remained as a sweet “after-taste” even until today when we are back in Malaysia. The launch stage-setting(gong, video, VIP chairs in the front) was perfect. The launch itself turned out to be catching the full attention of 400 participants considering we got prime slot-time. The good outcome was evidenced by the robust response we get post the launch. Our happiness were further reinforced at the Award dinner. You arranged for a table of 13 at the dinner and impactfully placed the table at a strategic central location in the hall. Our guests were very impressed at the professionalism of the award giving. The enthusiasm of the audience reflected their commitment in wanting to raise the bar of the global Islamic space as a concerted big team. Congratulations to Mr Iqbal, Mohaned, Randa and all in the team for making it happen...such perfect deliverables. We look forward to an equally successful 2013 then. It is always the event of the year. Great density and exchange of thought. I particularly like this conference. What sets it apart from others is expert opinion. Being the only Tafaful conference in Europe I feel that the agenda is captured so well; appealing to both specialists and laymen. Topics discussed range from a broad perspective on the subject to highly specialist and technical material. This is a truly global forum. In my opinion...the best Islamic Finance conference of the year. I have found the content of this conference to be extremely interesting as well as challenging. The platform brings together a range of thoughts and idea on Takaful. This is my second attendance and I already find the quality of attendees and content vastly improved.